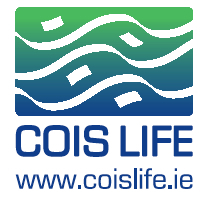 Cois Life was established in 1995 to publish literary and research works in the Irish language. We publish books for learners of Irish, for young people and also plays, fiction and poetry. Academic monographs are produced in the Lúb ar Phár series. Light romance fiction from the author of prizewinning novel Bás Tobann. Love and mystery. Secret lives. In the Irish conversation class for adults, much is left unsaid. Brian and Lise are the presenters of a new television adventure series in the making. Twenty-somethings, athletic, good-looking, they have all the combined talents to engage in the rigorous challenges of the outdoors and present them to a television audience. Brian is at home in the air and on land, while Lise is a water-woman. The series presents challenges to both of them, as their director Marcas tries to be the one who calls the shots. A young woman’s body is recovered from the sea. Other bodies follow, all women, in a series of ritualistic and macabre offerings by a devious but clever killer. An exploration of the darkness in human nature, and the pursuit of the killer by Detective Inspector Jack Hennessy. Alex Hijmans lives in one of Brazil’s many poor and dangerous suburbs. As the only white person in this district, populated with the impoverished descendants of Africans who were brought as slaves to Brazil, he ponders the great life secret of these suffering souls: how can they live contented lives in a place devoid of worldly possessions? The April choices for ClubLeabhar.com can be purchased together at a special price here.